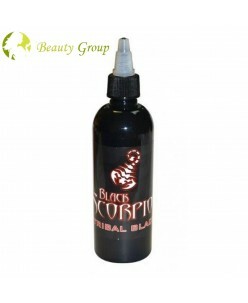 This particular shade of black, known as triple black, is a vivid and strong colour but not as heavy as lining black inks, so while it can be used to produce some softer lines it is most suitable for use in tribal tattoo designs. 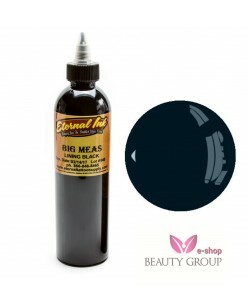 The ink is a non-toxic and organic option which is available in a selection of the most popular size..
Eternal Lining Black (30ml.) Lining black is a strong, solid colour produced to a high standard so as to ensure the bold qualities of the colour are retained over time. 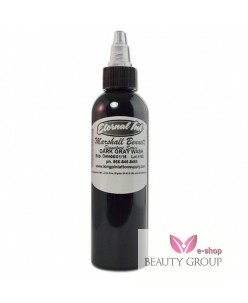 This is a colour that you will of course use on a regular basis and in varied amounts depending on your style and the usual number of tattoos you do in any gi..
Eternal M.Bennett Lining Black (30ml.) This new Grey wash set has been exclusively designed for Eternal Inks by world renowned tattoo artist Marshall Bennett. 5 Distinct Grey Wash Shades and a Lining Black available in 1,2 or 4 ounce bottles. ..
Eternal Marshall Bennett Darker Greywash (30ml.) 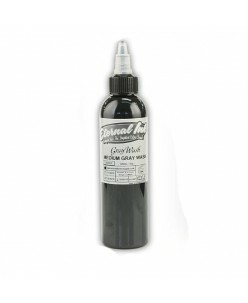 This new Grey wash set has been exclusively designed for Eternal Inks by world renowned tattoo artist Marshall Bennett. 5 Distinct Grey Wash Shades and a Lining Black available in 1,2 or 4 ounce bottles ..
INTENZE TATTOO INK SULUAPE BLACK A revolutionary leader in the global tattoo community, Intenze Products provides you with the future of tattoo inks now; you won't find a safer, more sterile or higher quality ink elsewhere. By combining historic tattoo tradition with modern day scientific improvement Intenze Tattoo Ink is..
About the productVery Dense dark black pigmentCan be broken down to the perfect shade of grayKeeps up with a fast hand while lining, wipes clean!Safe Sterile Tattoo Ink!.. 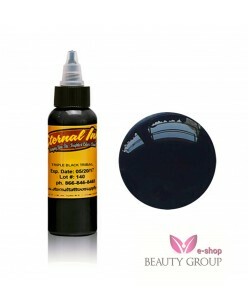 Kuro Sumi Black Liner (180ml.) 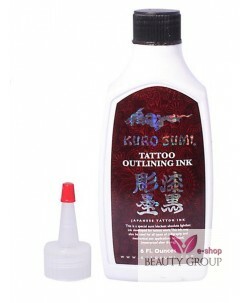 Kuro Sumi black liner tattoo ink is suitable for all line work. It is used by thousands of professionals worldwide and has proven to be a real delight amongst them. 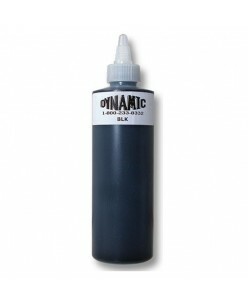 This black lining ink has been voted as one of the best and most consistent inks available on the market. 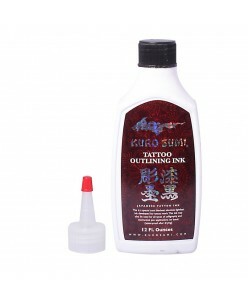 It goes into the skin smo..
Kuro Sumi Black Liner 12oz/355ml Kuro Sumi black liner tattoo ink is a must have for the serious tattoo artist. It is voted the best lining ink available on the market and is used by thousands of professionals worldwide. The ink goes into the skin smoothly and evenly for crisp and clean lines that heal flawlessly. Made to the..